Planning to apply for a higher education course but worried about funds? There is help at hand. The government is eyeing a proposal to make education loans cheaper through an interest funding scheme – a subsidy system through which the government pays to the banks straight away, making them to charge lower rates from student loan borrowers, especially from a particular income group. Besides, students belonging from low income families will be given preference for availing such loans. Finance minister Arun Jaitley made an announcement about the scheme in the forthcoming budget. In the present scenario, banks, on an average, charge 12.88% for education loans, in comparison to 12.17% on car loans. As on March 31, 2014, education loans given out by Indian banks stood were of 60,071 crore. Over the last few years, banks have become aware of giving out education loans beyond a certain limit citing high risk of default. The Indian Banks Association (IBA), an industry body of banks, recommended the setting up of a guarantee fund. 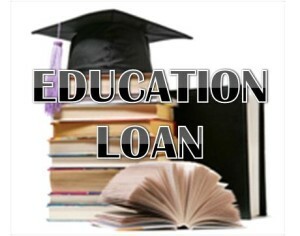 “Education loan is critical and students must be able to avail loans to pursue higher studies, but to ensure that non-performing assets (bad loans) do not rise, there is a need to create a guarantee fund for education loans below 4 lakhs,” said Soumya Kanti Ghosh, chief economic adviser, State Bank of India, as reported by Hindustan Times. The issue is also likely to be raised in the review meeting to be held by Jaitley , with public sector bank chiefs on March 5.